Information on Jackson Lake boat rentals, jet ski, waverunners, and watercraft tour services at this north western Wyoming lake in Grand Teton National Park. The lake is primarily fed by the Snake River which flows in from the north and empties at the Jackson Lake Dam. 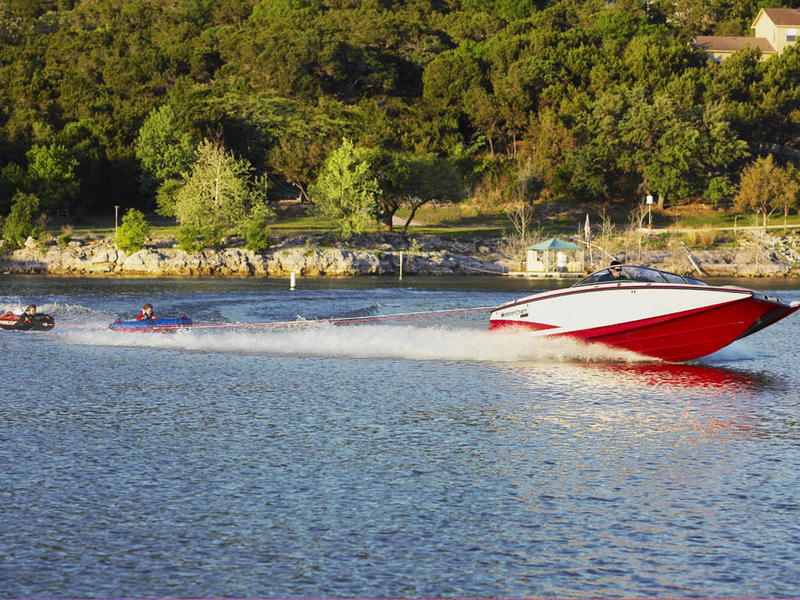 The lake is up to 15 miles long, 7 miles wide and 438 feet deep creating a water sport dream for all those who enjoy wakeboarding, flyboard, water skiing, tubing, wakesurfing, kneeboarding, and other sports. The water of the lake averages below 60 °F even during the summer, so wet suits are recommended. Numerous species of fish inhabit the lake including nonnative brown and Lake trout and the native Snake River fine-spotted cutthroat trout and Mountain whitefish. There are over 15 islands in the lake, including Elk Island which is the largest and Donoho Point. John D. Rockefeller, Jr. Memorial Parkway, a separate National Park area, is located near the northern end of Jackson Lake and extends to the south entrance of Yellowstone National Park. This roadway combines with the roads in Grand Teton National Park that follow the eastern side of the lake, providing access for boating and fishing. There are several different marinas and lodges along the eastern shore such as Leeks marina, Colter Bay Village, Jackson Lake Lodge and Signal Mountain Lodge. All of these except Jackson Lake Lodge have boat access points and ramps.